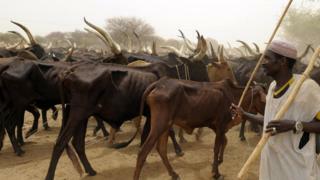 Gunmen believed to be cattle thieves killed 15 herders in attacks on a Zanfara State village yesterday, the police said. “Armed bandits attacked Bawon-Daji village and killed 15 people,” Zamfara State police spokesman Muhammad Shehu was quoted as saying by French News Agency, AFP. His account was corroborated by Gado Anka, a local government official. Anka told AFP thet motorcycle-riding gunmen stormed the remote village in Anka district around 13:00 (1200GMT), shooting dead 12 residents before fleeing to a hideout in the bush. This has prompted villages to form vigilante groups – which in turn are often accused of extra-judicial killings of suspected cattle thieves, prompting deadly reprisals by the gangs. In Southern Kaduna state, six persons were feared killed in separate attacks in Bakin Kogi, Kaninkon chiefdom, Jama’a local government area. The killings occurred the day after Kaduna State Governor Nasir El-Rufai had a peace meeting with Fulani leaders. 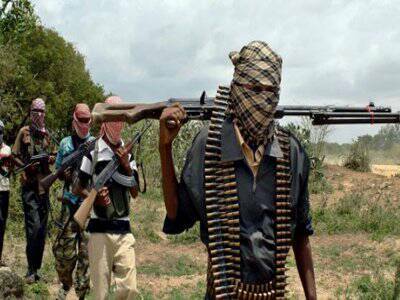 The two attacks were reported to have occurred at between 10am and 11am yesterday and carried out by gunmen suspected to be herdsmen. A member of the security committee in the community, Auta Maurice, who confirmed the attacks in a telephone interview said, the gunmen, numbering about 10, were wearing military and mobile police uniforms. Maurice said three people were killed in the bush when they went to cut wood for the roofing of their houses while three others were killed at a local mining site on the hills. He said four people were injured and were taken to the hospital in Kafanchan. He said, “The first attack occurred at about 10am when some members of our community went to the bush to cut wood for roofing their houses. ”All of a sudden, the herdsmen opened fire at them and three people were killed while others managed to escape. ”The second attack happened at about 11am at a local mining site. Three people were also killed there, while four others were injured”. He added that “The herdsmen were dressed in army camouflage and mobile police uniforms”. He also said that the distances between the village and the places where the attacks took place is about 5 and 6 kilometres and that by the time the soldiers deployed to the community for security got to the locations the bandits had disappeared. “We reported the case to the army soldiers maintaining security in the our community and we went to the bush with them, but the bandits had fled” he said. Kaduna State Police Command confirmed the two attacks on Bakin Kogi, Kanikon Chiefdom in Jema’a Local Government Area of Kaduna State on Thursday. The police also confirmed that six persons, including four males and two females were killed in the attacks, while four other persons sustained injuries. The State Police Public Relations Officer, Aliyu Mukhtar, an Assistant Superintendent of Police told our correspondent that the attack claimed six lives while four persons sustained injuries. “A combined team of the police and the military are currently on manhunt for the perpetrators.